I'm sure you've started noticing how much I like animal print. It's incorporated in my outfits probably way more than it should be. But I just love it so much and it can basically go with anything! 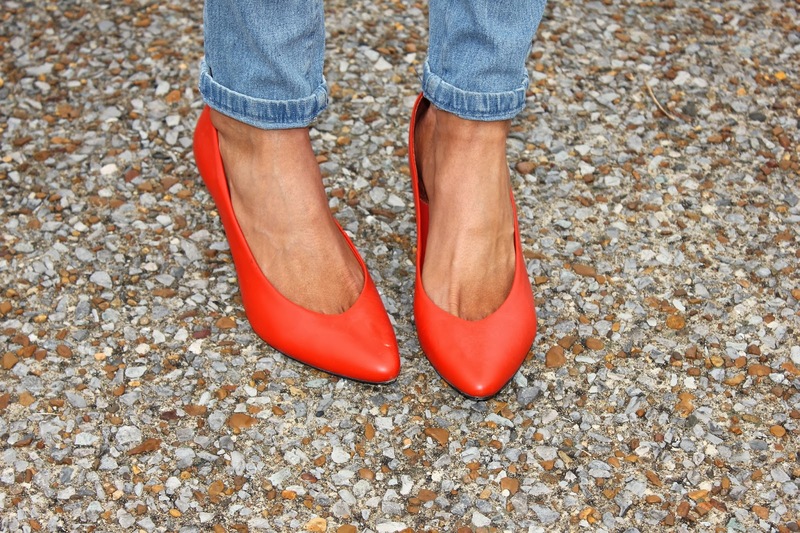 Sometimes I also like to do a pop of color (like I did with my shoes) when I'm not wearing much color anywhere else. It's just fun and unexpected:) And can we talk about these earrings?? I found them at a thrift store in Chicago years ago and I wear them all the time!